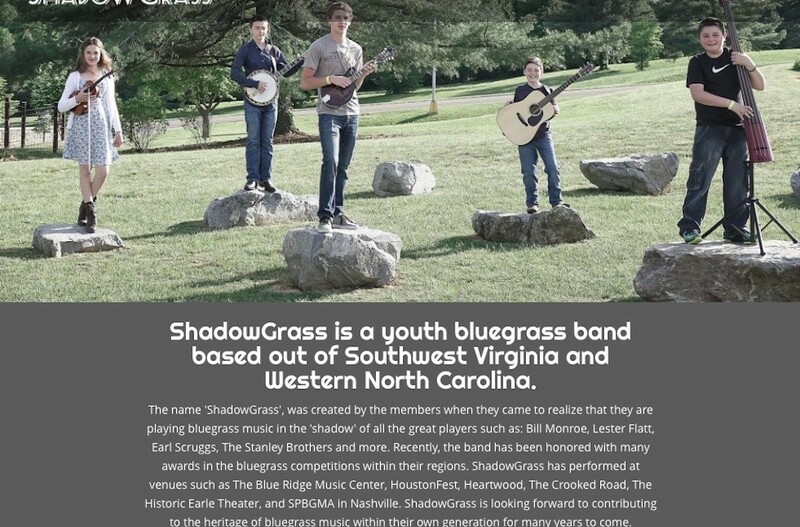 shadowgrass.band This is a simple one-page website for a local youth bluegrass band listing events bios for the band members. 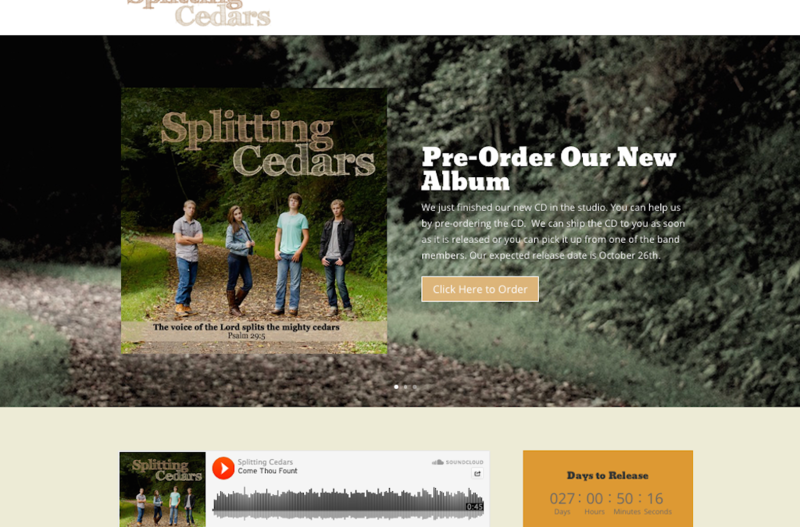 www.splittingcedars.com This is a site for our youth worship band. It includes the ability to pre-order CD’s and also preview several of the album tracks.